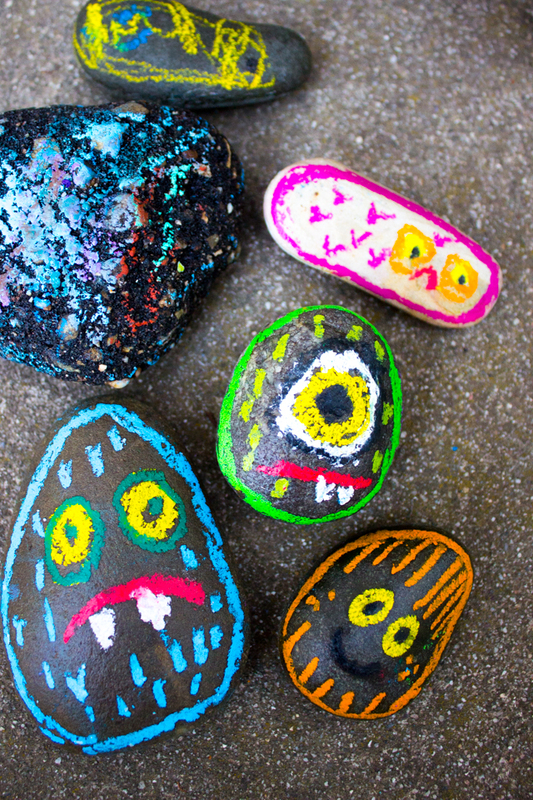 These little rock monsters are super cute and fun to make around Halloween! 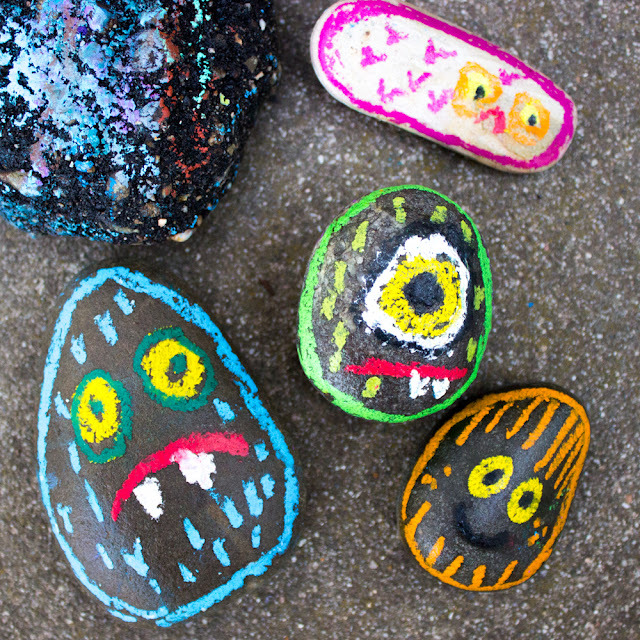 Just grab some rocks and oil pastels and you're ready to go! Last year we used oil pastels to make pretty fall pumpkin, pinecone, and rock art. This year, we did the activity again, but with a monster twist!